Demetra George (MA, Classics) is a pioneering mythic-archetypal astrologer, who studies Greek astrological texts, as well as the transmission of classical doctrines into the Arabic and Medieval worlds. An international lecturer since 1992, she has taught the history of astrology at both Kepler College and the University of Oregon. She presently lives in Eugene, Oregon, maintains a private practice, offers mentoring and educational programs, and leads tours to archæological sites in the Mediterranean. Recipient of the Regulus Award, her work provides the keys to understanding all forms of traditional astrology. Her previous books include Asteroid Goddesses: The Mythol­ogy, Psychology, and Astrology of the Re-emerging Feminine (ACS, 1986; revised ed., Ibis, 2003), Astrology for Yourself: How to Understand and Interpret your own Birth Chart: A Workbook for Personal Transformation (Wingbow, 1987; revised ed., Ibis, 2006), Mysteries of the Dark Moon: The Healing Power of the Dark Goddess (HarperCollins, 1992), Finding Our Way through the Dark (ACS, 1994; afa, 2008), and Astrology and the Authentic Self: Integrating Traditional and Modern Astrol­ogy to Uncover the Essence of the Birth Chart (Ibis, 2008). 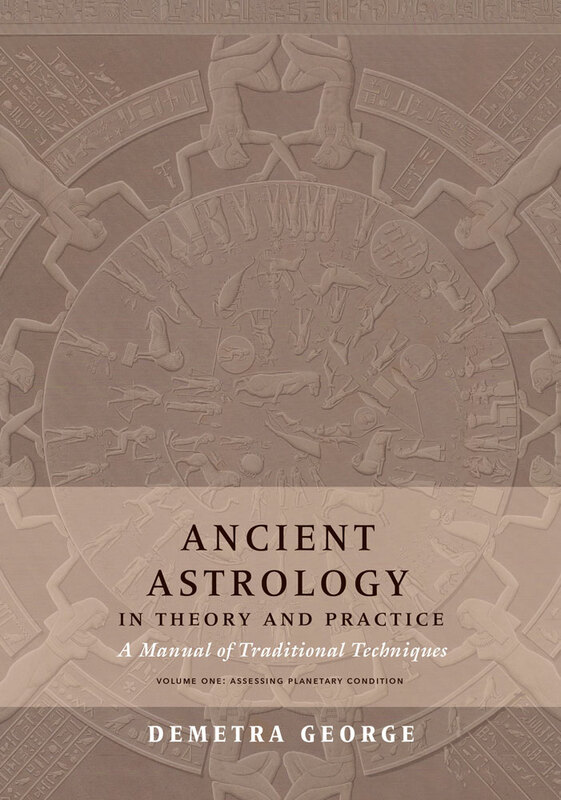 Her latest work is the two-volume opus, Ancient Astrology in Theory and Practice: A Manual of Traditional Techniques (Rubedo Press, 2019).